I wonder if graphite dry lube would work in place of grease without catching sawdust. 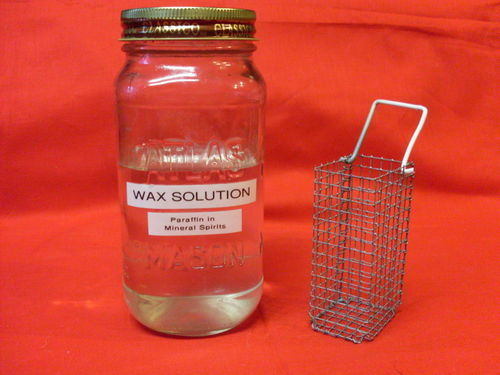 I use paraffin wax dissolved in solvent (the options are abundant) to lube everything under the hood on my Unisaw and don’t have any issues attracting dust. A blow gun while the DC is running cleans everything quite well and reapplication takes no time at all only a few times per year. If you used grease… be prepared to do the whole procedure over again pretty soon. Wax or a dry lube is what you want as it won’t attract sawdust or accumulate gunk. I use paraffin wax dissolved in solvent (the options are abundant) to lube everything under the hood on my Unisaw and don t have any issues attracting dust. A blow gun while the DC is running cleans everything quite well and reapplication takes no time at all only a few times per year. pretty much how i clean my uni saw, long tube air blower gets into all the spots, sure wished it had better dust pick up, lol, have taped and sealed every orafice in the dang thing, did help, but still a gaggle of it on top. Oh…my wife says she has some…do you have to heat it up? I use it both ways. For the dissolved stuff, a mason jar works great, and a small wire basket makes it easy to dunk small parts like nuts and bolts. Gets wax where you otherwise can’t normally get it. Pop it in the refrigerator for a bit and it will turn into a paste. Went to drylube works better. Sure would like to know how much paraffin to what amount of mineral spirits to make the mixture if someone doesn’t mind telling. Do you brush it, drip it or spray it on? Sure would like to know how much paraffin to what amount of mineral spirits to make the mixture if someone doesn’t mind telling. Do you brush it, drip it or spray it on? Brush, wipe, drip, dunk, spray, whatever it takes. I’ve got a couple cans of dry lube and have tried it quite a bit on various machine parts. To me, it just doesn’t seem to be as good a lube as more traditional stuff, you need to use quite a bit more than what I expected, and doesn’t seem to last very long. YMMV. I use furniture paste wax instead of parrafin – harder than parrafin once dry. I find it lasts longer.